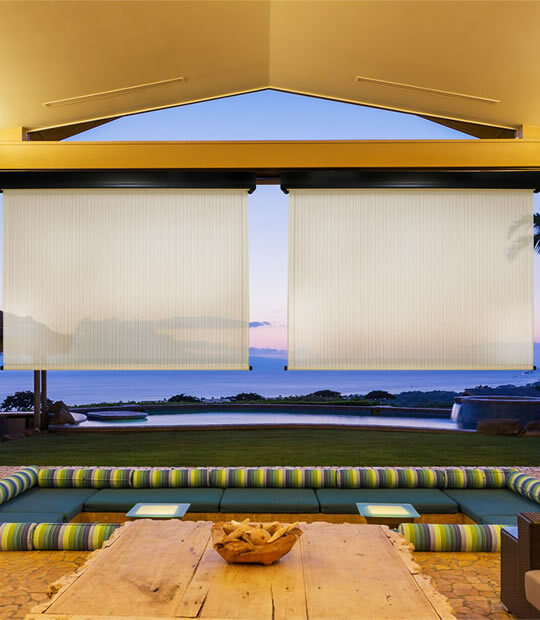 Our exterior shades are designed to reduce and protect you from the sun's glare and harsh UV rays which are keeping you indoors on beautiful sunny days. 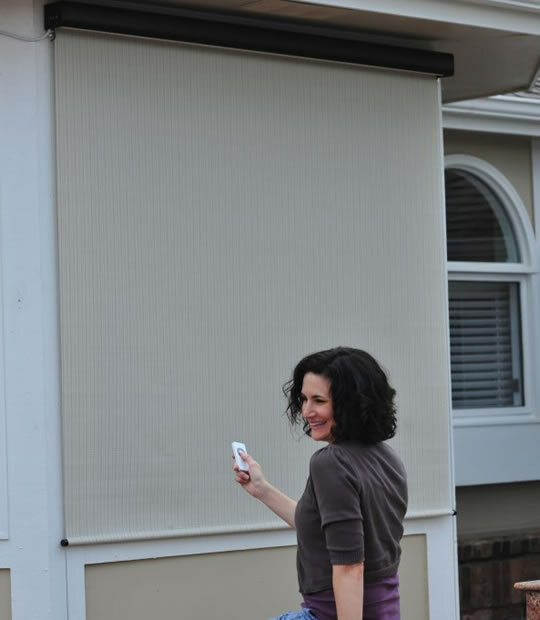 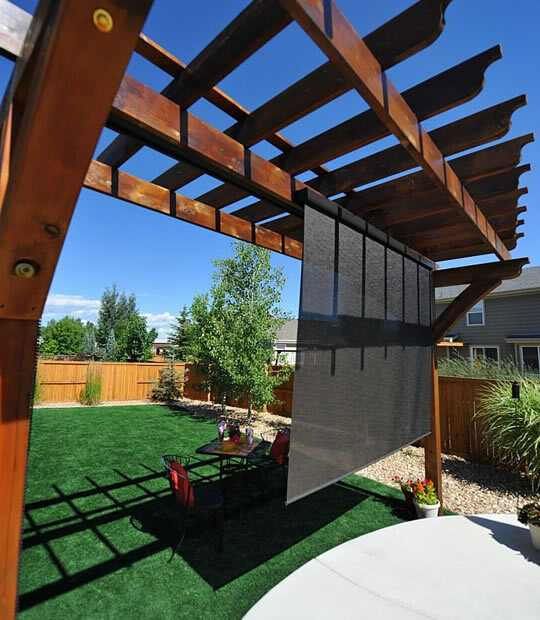 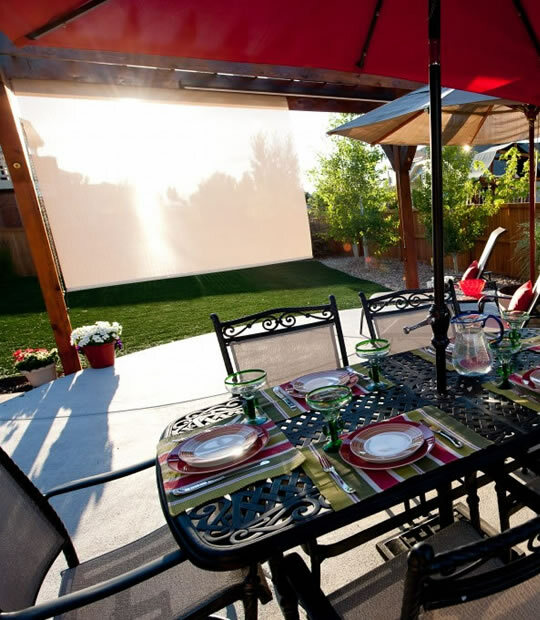 You can now reclaim your outdoor space with our exterior solar shades. 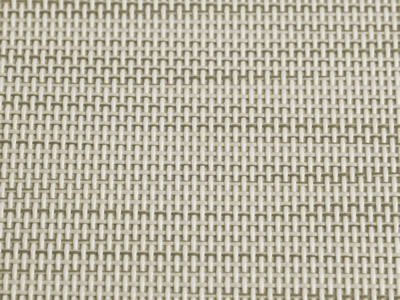 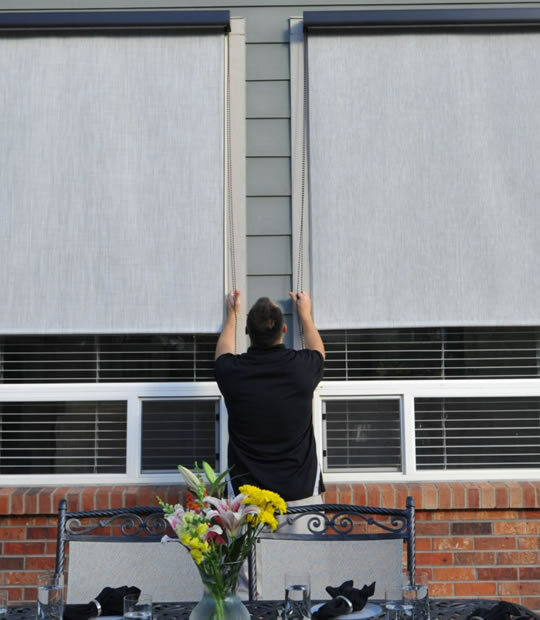 Manufactured with high-quality fabrics, these shades are designed to withstand all weather elements for years, including rain, heat, and constant sun exposure, without cracking, warping, or fading. 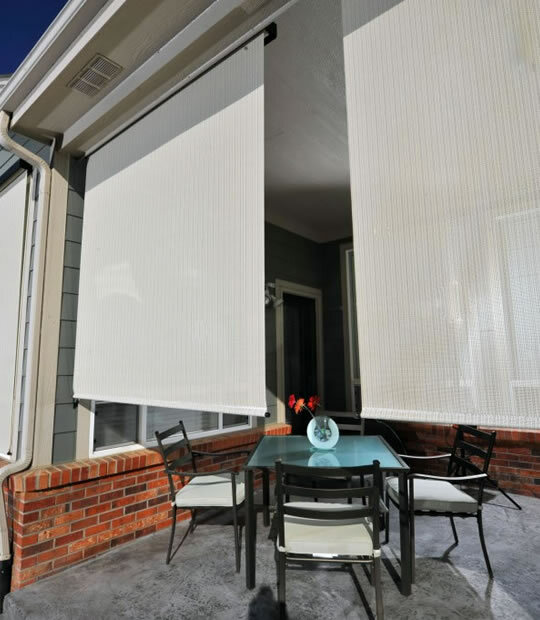 These dependable exterior shades can count on your outdoor area being more comfortable than ever, even during the hottest days of summer. 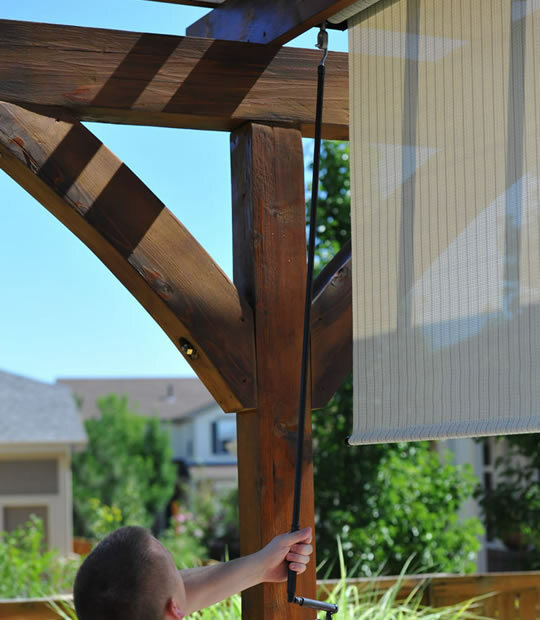 Best of all, our exterior shades preserve your view of your property and a continuous loop lift clutch and nylon chain makes them extremely easy to operate. 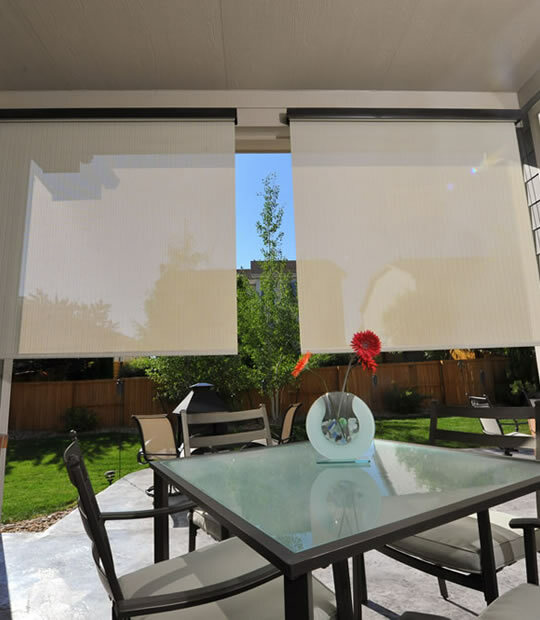 The Diamond Plus, Titanium and Elite Plus (remote operated) series shade are featuring our premium-grade PVC fabric. 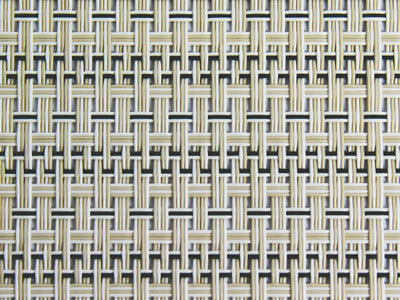 All shades include a valance and have a fabric drop of 8 feet (96 inches). 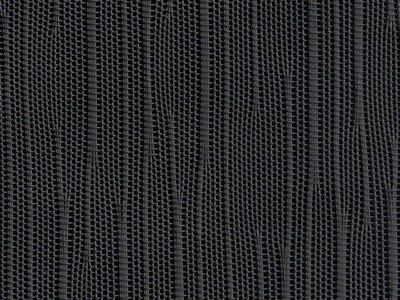 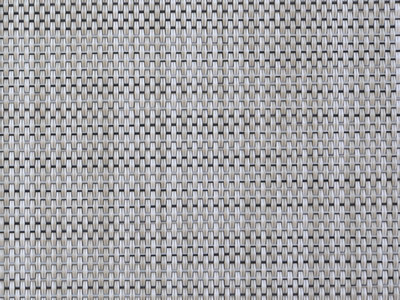 Four (4) fabric colors are available: Maui (72% UV Block), Tropic (85% UV Block), Caribbean (90% UV Block) and Kona (90% UV Block).